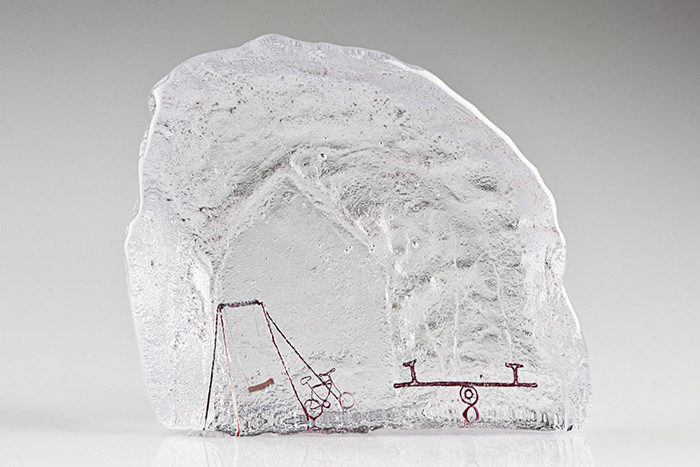 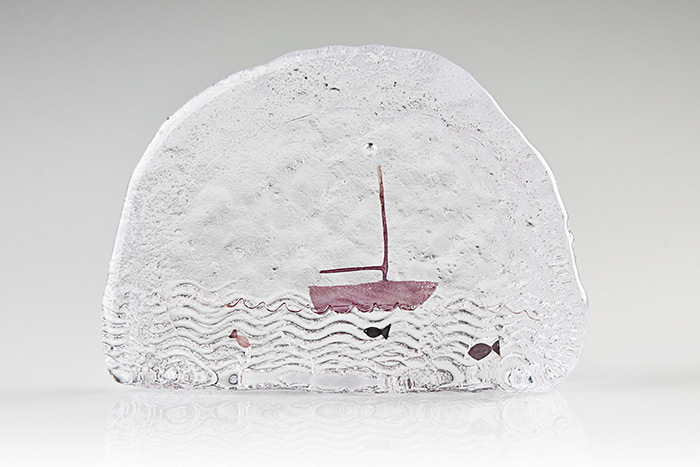 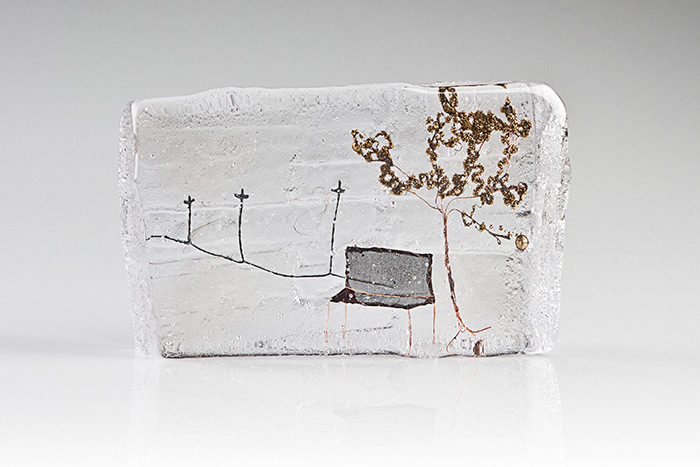 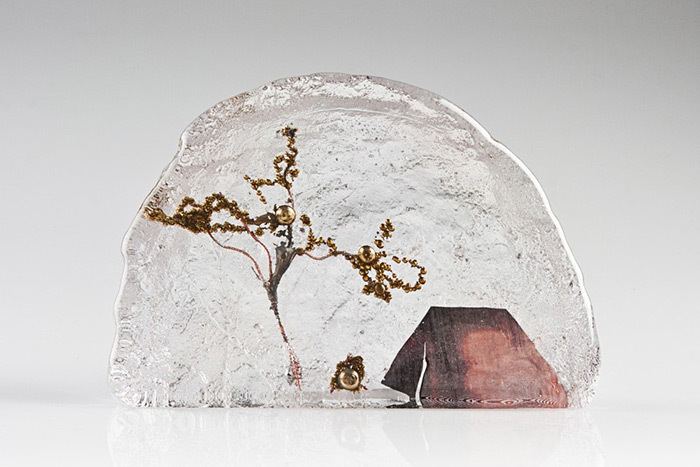 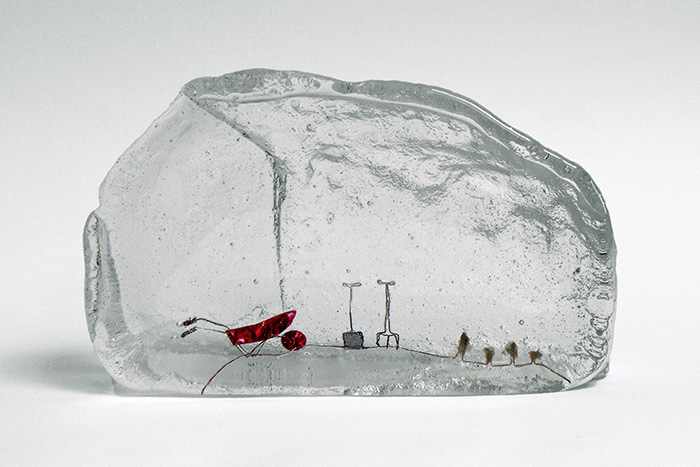 Miniature wonderlands captured in molten glass and frozen in time by British artist Jenny Ayrton. 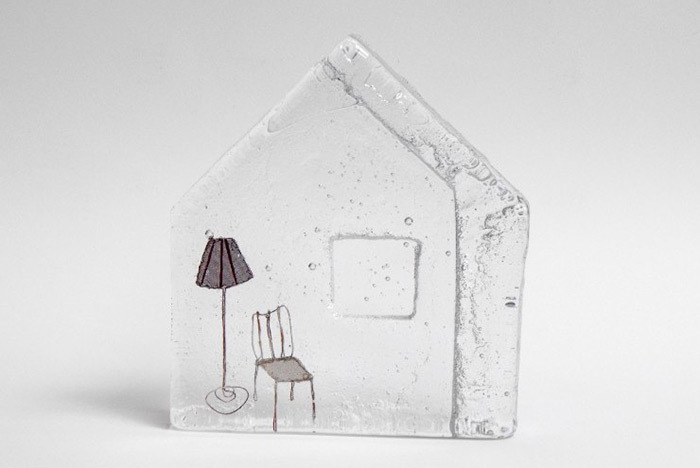 The scenes were influenced by her surroundings and have a domestic twist as she tries to see the world from the viewpoint of her young daughter. 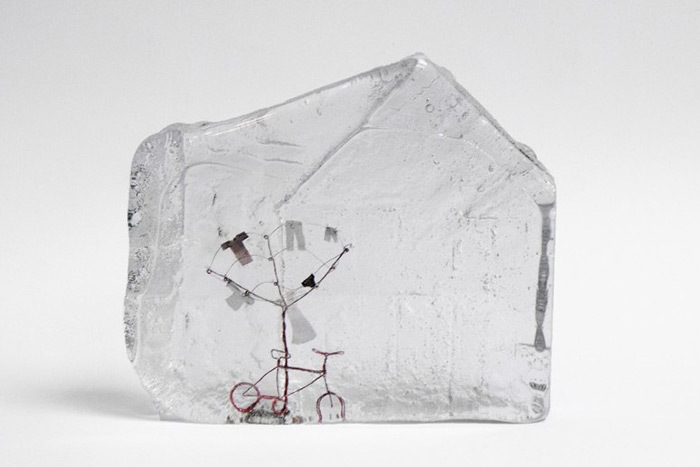 Ayrton finds inspiration in mundane and overlooked things such as laundry blowing in the wind, a park bench where couples sit, or a wheelbarrow and shovel. 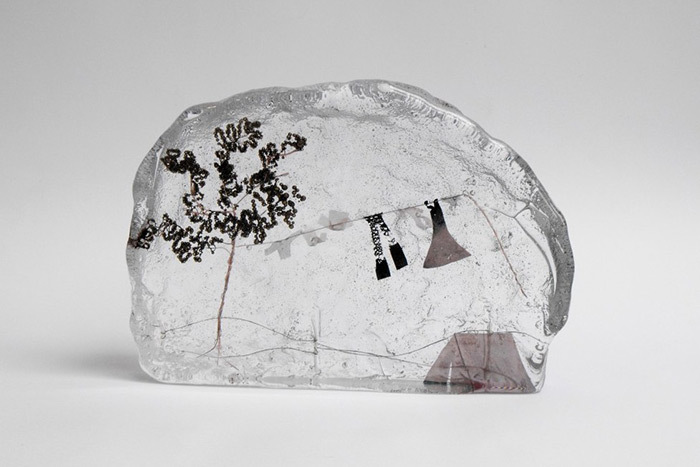 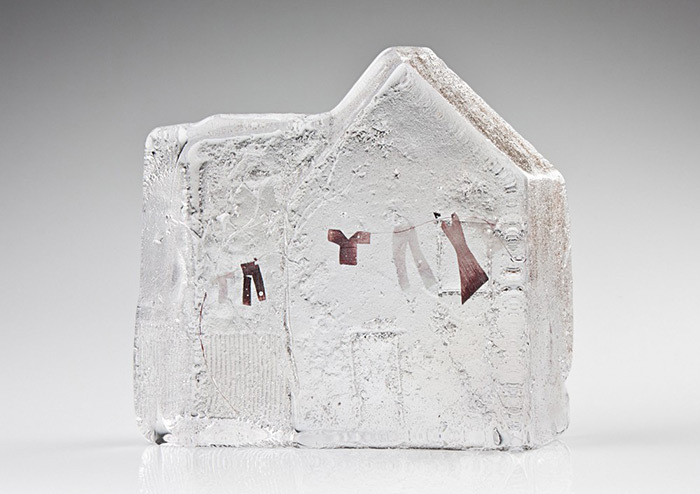 Her process involves encasing delicate wire drawings in blocks of glass using a sand-casting technique to bring each scene to life. 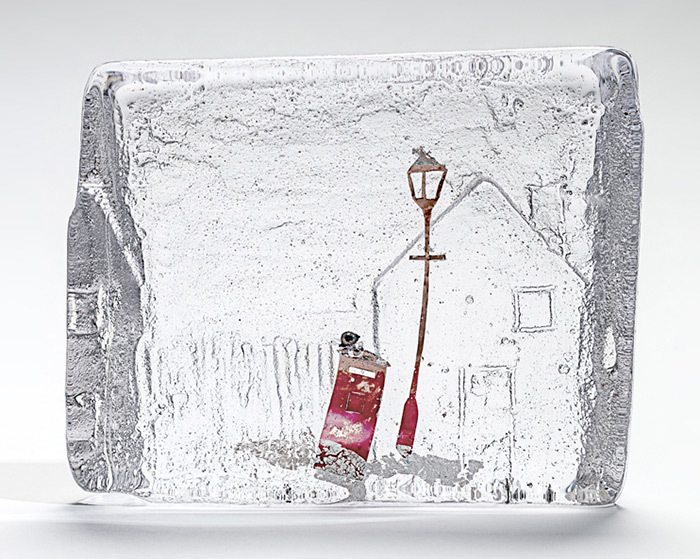 Miniature wonderlands captured in molten glass and frozen in time.